Ticia Lever developed a second career as a textile artist having worked as a town planner for many years. Her textile work is varied and she takes inspiration from a variety of sources. She particularly enjoys hand stitching which she finds therapeutic. Inspiration includes the countryside and exploring the subtle use of colour in her work. 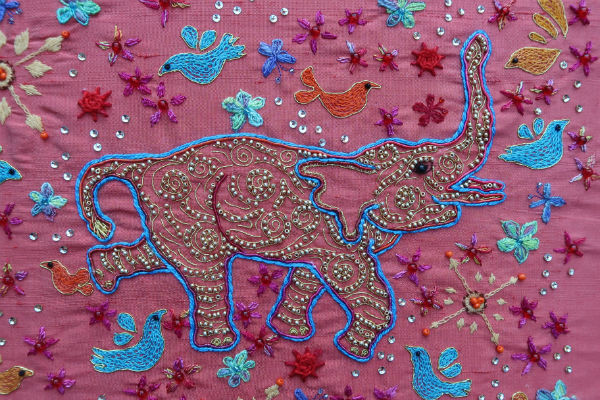 However a visit to India in the last year has resulted in her exploring more vibrant colours and patterns. Ticia is a Licentiate member of the Society of Designer Craftsmen.